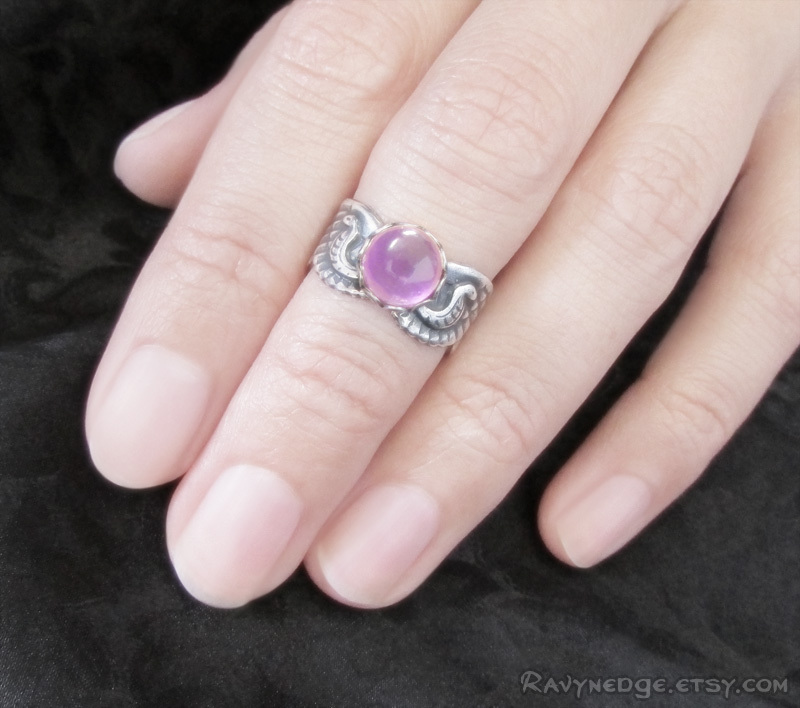 Isis Gemstone Knuckle Ring - Egyptian Adjustable Midi Ring by RavynEdge. 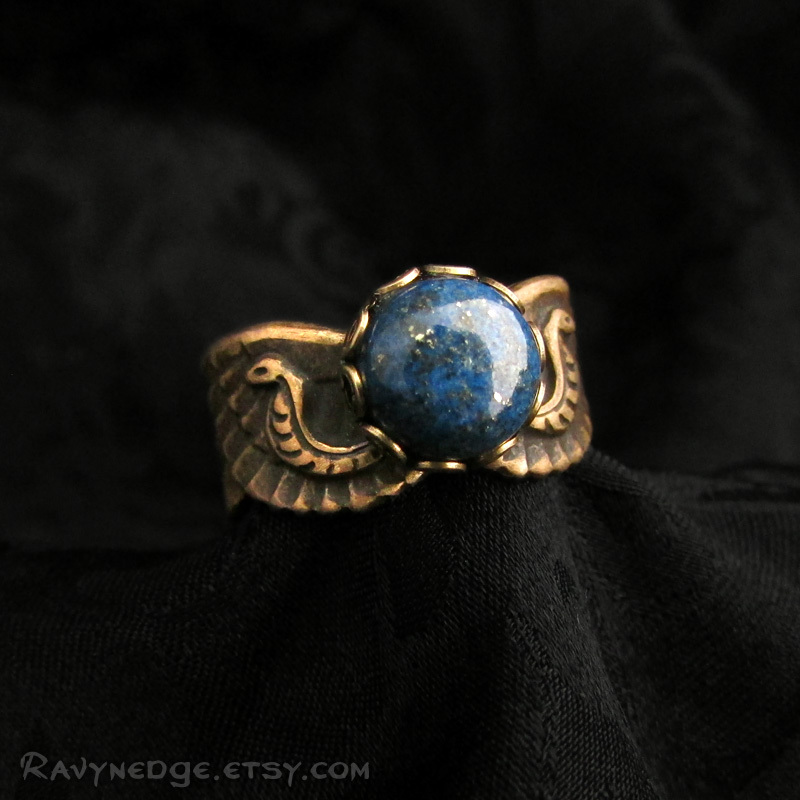 "Isis" is a knuckle ring made from an egyptian themed brass or sterling silver plated brass stamping featuring a one-of-a-kind sun or moon of a natural gemstone, two cobras, and a pair of wings that wrap your finger comfortably. Adds a delicate, yet stunning look to your finger! Shown here with a rainbow moonstone, labradorite, lapis lazuli, amethyst, and carnelian. Other stones may be available. Adjustable to fit most finger sizes. 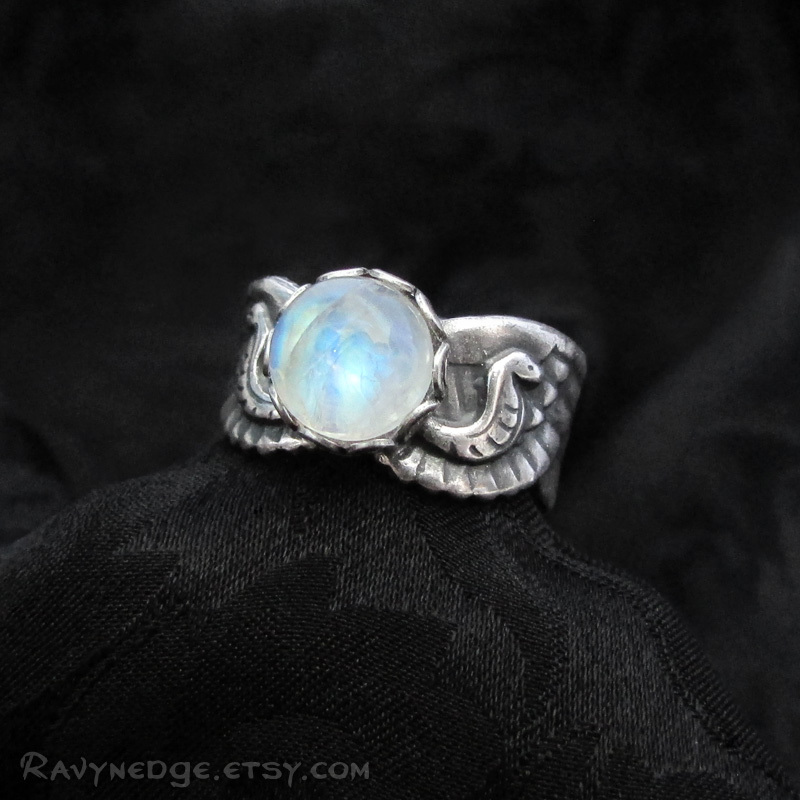 This is a small ring made to fit below the top knuckle of your finger. 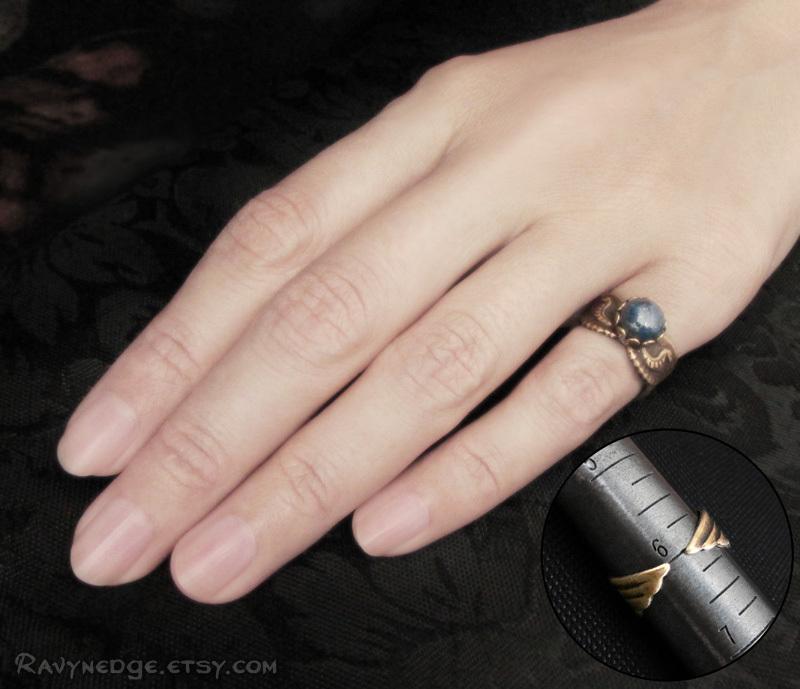 Although, if you have petite fingers, it can be worn as a regular ring. At larger ring sizes, there may be a gap under the finger. 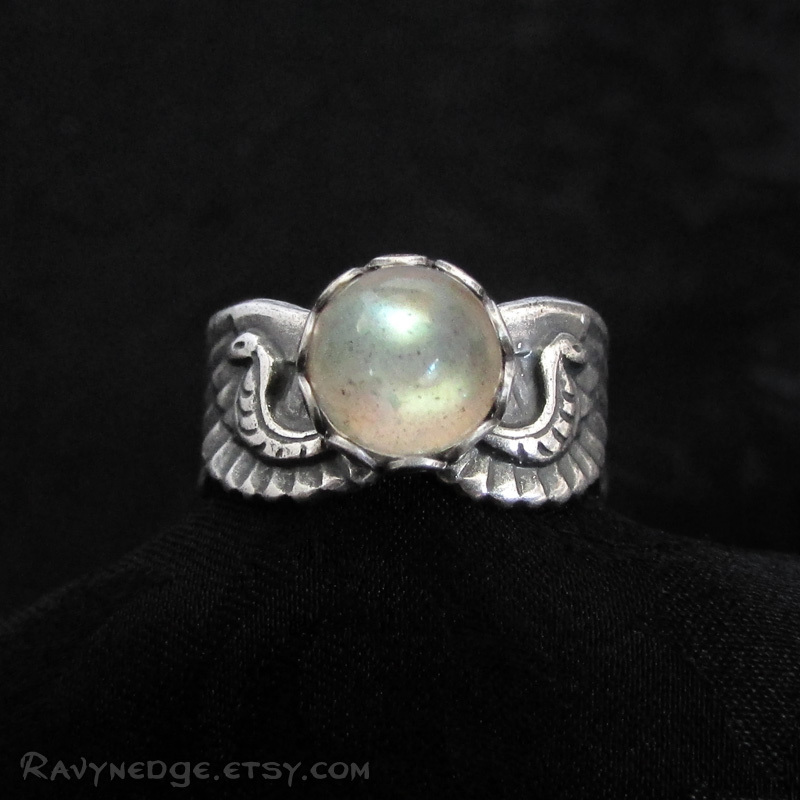 Please Note: The gemstones used in this ring are natural stones.There may be inclusions or imperfections within the stone, but that is what makes each one unique.